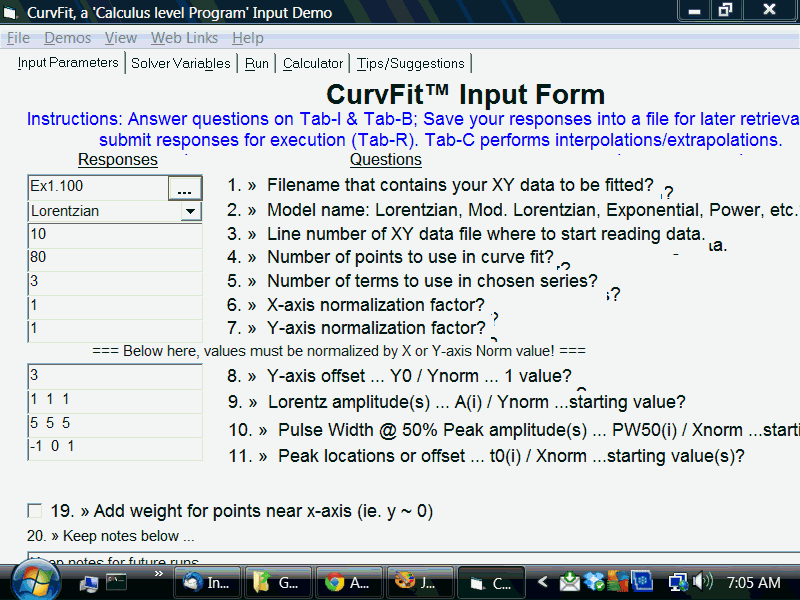 CurvFit is another improved productivity example do to using Calculus (level) programming ... ie. minutes to solve, days or years to understand solution and what it implies (e.g. wrong model, sampling rate error, etc.). Helps learn 1) whether math model is good for given data; 2) convergence implies a reasonable solution; 3) how to select new starting initial parameter values. See comments in EX*.? files for ideas on how to converge via solvers. Interpolation, extrapolation, & Hardcopy Plot options are now available. Added another copyright year to output.